Looking for the latest on Virgin Atlantic's all-new Airbus A350 Upper Class business class seat? You'll find our coverage here. PREVIOUS | Virgin Atlantic will pull back the curtain on its new Airbus A350 Upper Class business class seat on April 8, just three weeks after British Airways raised the stakes with its own (and also A350-bound) Club Suites. At an invitation-only preview at its London HQ, which Virgin is promoting as “the hottest event in town”, the airline – which this year marks its 35 years as a thorn in BA’s side – will showcase the cabins of its forthcoming Airbus A350-1000 jet, which joins the fleet mid-year. Tellingly, the airline has polled some of its frequent flyers on potential marketing brands for the next-gen Upper Class – including the Dream Suite, Retreat Suite and Atlantic Suite, along with the less-likely Posh Suite and Necker Suite. Whatever name it goes by, Virgin’s Airbus A350 Upper Class will have a 1-2-1 layout, with 44 suites spread across 11 rows. The seats themselves are expected to be more conventional than the airline’s current business class seats (below), which also offer direct aisle access but require travellers to get up and flip over the back of the seat to lay out the lie-flat bed. “I’ve sat in it, it’s a fantastic seat,” enthuses Oliver Byers, Virgin Atlantic’s senior vice president of sales and customer loyalty. “What you’ll see is that it’s a next-generation product but it’s incredibly Virgin Atlantic," Byers tells our UK sibling Business Traveller. "It’s exactly what you would think Virgin Atlantic is in terms of the look and feel, the design, the feel of the cabin and the warmth of the environment." Also of keen interest will be the A350 take on Virgin’s inflight bar, a long-standing hallmark of flying Upper Class which plays into the airline’s chic ‘Cool Britannia’ image. Virgin Atlantic has 12 of the stretched Airbus A350-1000s on order, and the airline has previously spoken of plans to split the fleet into two skews: one for business routes with more Upper Class seats, and another with a larger premium economy and economy cabin for leisure destinations. The A350s will largely replace Virgin’s ageing fleet of Boeing 747 jumbo jets, but will also be used to boost capacity to Asia, specifically Hong Kong and Shanghai. “What we really want to do is grow both of these markets over time by first looking at how we can add more capacity through going from a (Boeing) 787 to an A350-1000, and then in the future whether we can have second flights," Byers predicts. An uncanny alignment of timetables will see British Airways and Virgin Atlantic both begin flying the Airbus A350-1000 with new business class seats around the same time. It'll be interesting to see if they've set themselves apart from anything else already in play, or put their own spin on the likes of the Delta One Suite. Given DL adopted a version of the Vantage XL, you'd expect VS to do something very similar though probably with a more edgy palette more like VA. I know this is only speculation but yes, I would think the Vantage XL Suite of Delta would have to be the safest bet. Still plenty of ways for Virgin to make it very much their own but with the help of a design firm as they wouldn't be large enough to have an in-house design team as BA does. Whilst BA seem to manage this with a far larger fleet, I wonder about the logic of a split (high / low) premium fleet of only 12 A350-1000 frames? 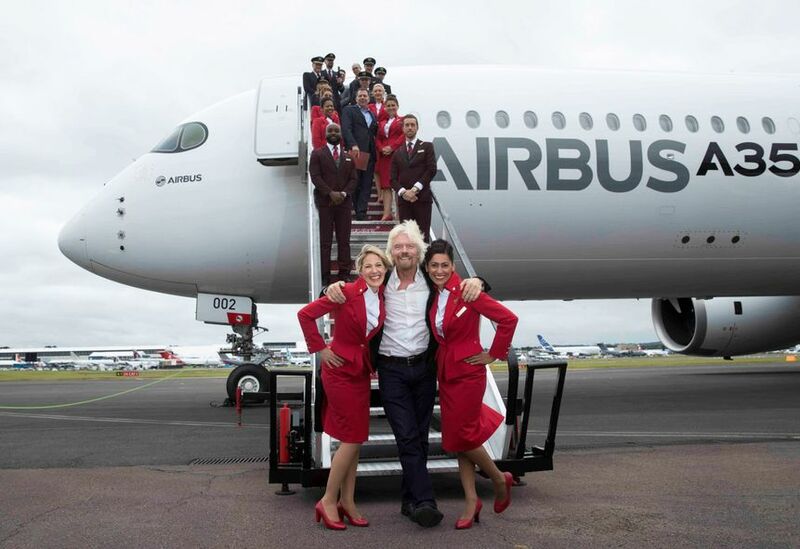 Does Virgin Atlantic have commitments ie: firm orders or options on more than 12? It has the potential to make the prospect of irregular ops a bit of a problem. One would expect to find these frames primarily on the busier routes such as LHR-NYC/LAX/MCO etc and LHR-HKG. I just hope they re-think the bar. The lack of curtain on the 787 makes that bar more of a nuisance than anything. Every single flight I have had with them the crew always talk about how bad it is to manage. 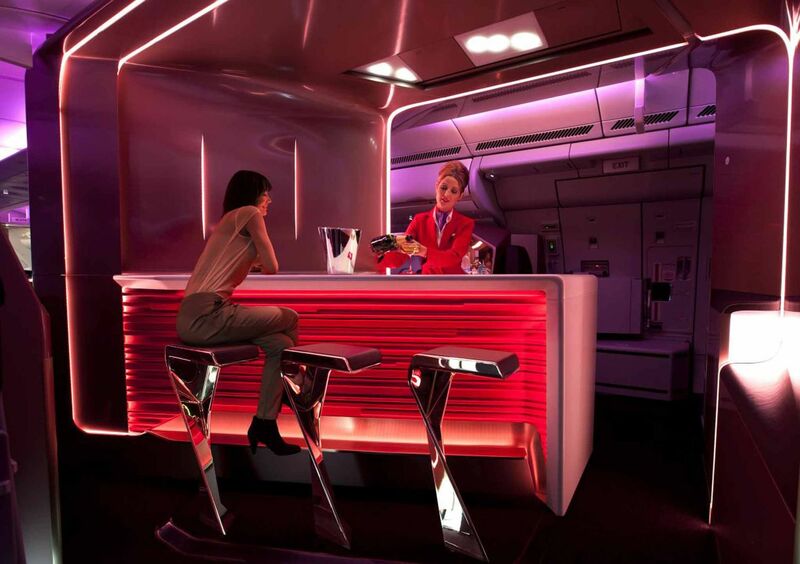 Comment on "What to expect from Virgin Atlantic’s new Upper Class business class"